Fall is my favorite time of year. There are so many wonderful things about this season, like crunching leaves, caramel apples, and family times! 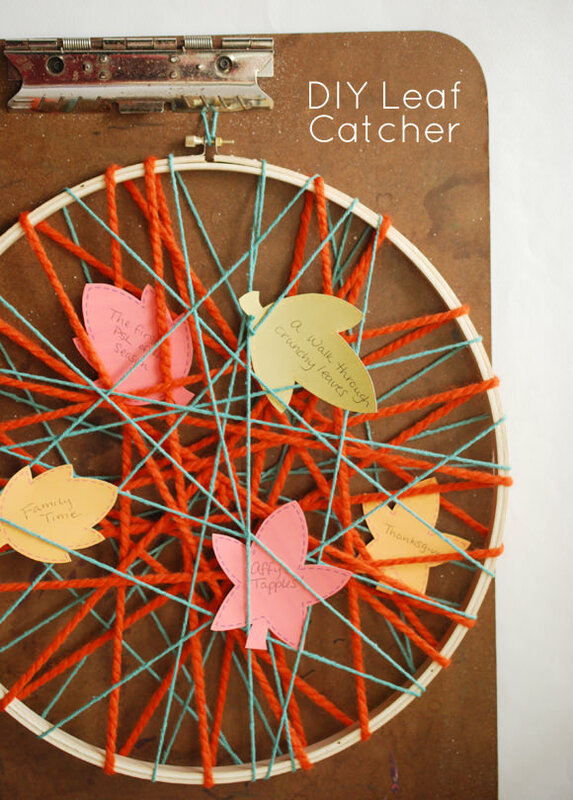 Make this leaf catcher and capture all of your fall favorites! 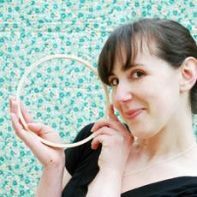 Starting with a short tail and holding it as you work, wrap the yarn around the hoop, crisscrossing it as you go. 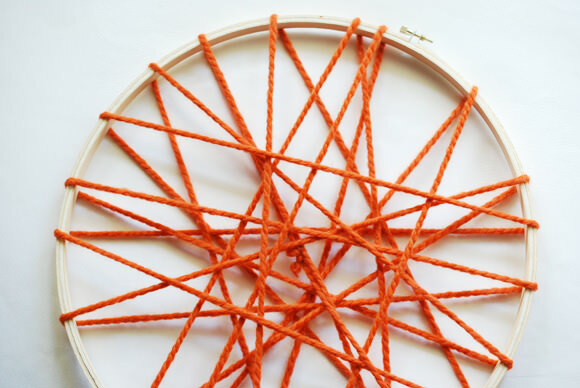 Wrap the hoop as much as you want, then cut off the yarn and join it to your starting tail with a knot. Trim the ends, and you’ll hardly see the knot. Add a second layer of wrapped yarn in another color or weight if you like, repeating the wrapping from steps 1 and 2. 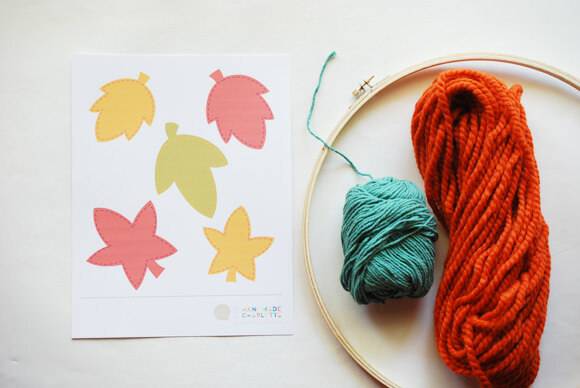 Print the leaves onto card stock and then cut them out. 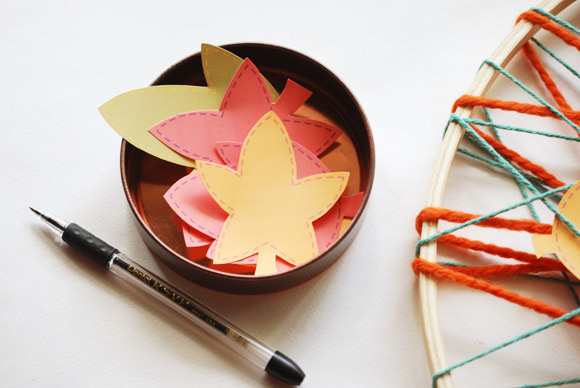 Place your cut out leaves close to your leaf catcher, and keep a pen nearby too. Note: The PDF contains colors as well as black and white. You can print the black-and-white version on colored paper, or leave them white for a more modern leaf catcher. 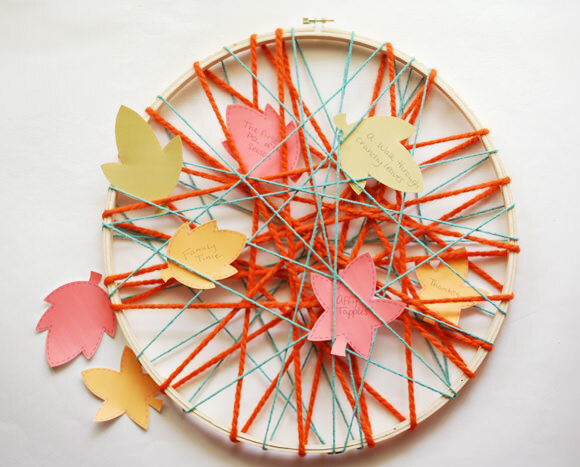 Write down your favorite things about fall, or some special memories that you make this year. Tuck them into your leaf catcher so your whole family can celebrate the season! 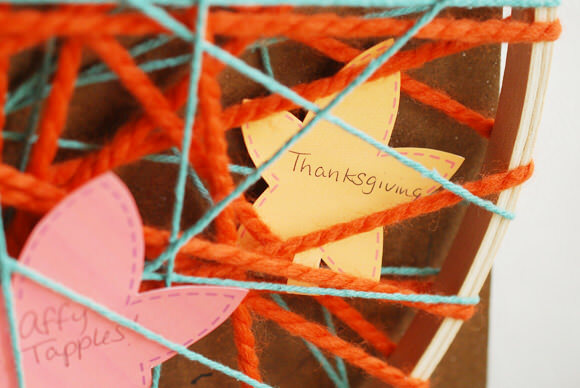 You can even use this as a way to start documenting the things you’re thankful for, then read them out when Thanksgiving comes. However you use it, I hope you catch some fall fun this year! 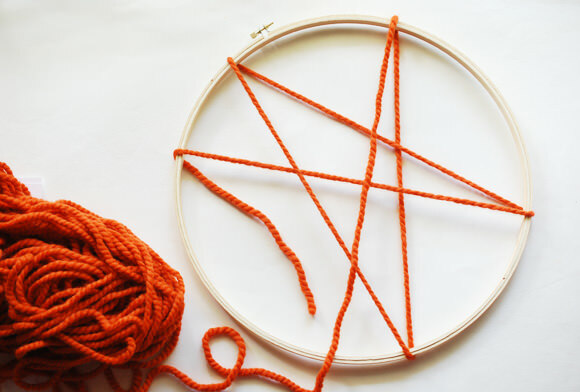 Pinning too, I love the simplicity of using a hoop. I’ve always wanted to make a “catcher” but it seemed daunting. This is simply awesome! Thank you. 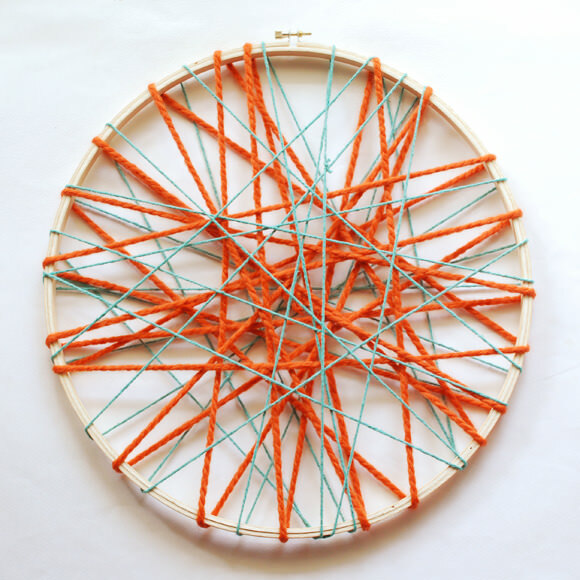 This craft is not only awesome for kids but pretty too! I can’t wait to hang it up as decor in my home! just another AWESOME craft at Handmade Charlotte! My girls would LOVE to make this, and hang it above their beds at night :) :) :). So so cute! 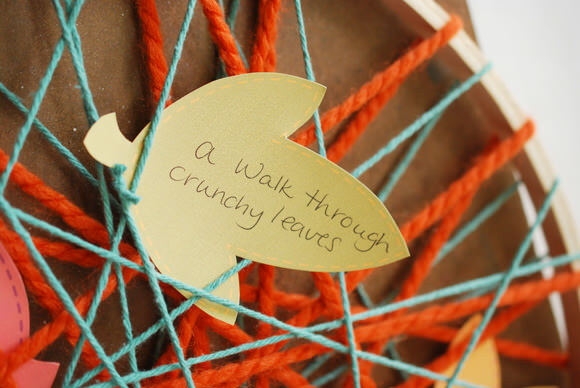 Oh this is such a sweet craft – I could see catching leaves with bits of thanks written on them – pretty!